I realized I needed a better system than frying eggs five times or turning the stove on and off each morning. I sat down and brainstormed a list of weekday breakfast ideas that are simple to prepare and can stand to sit around for an hour or so. Scrambled eggs? Not so much. Baked oatmeal? A lot better. Scones? Too finicky and not filling enough. A hearty muffin, packed with vegetables? Yes, please. Now I have a loose ‘menu plan’ for weekday breakfasts, food prepped in advance, and my little family helps themselves each morning. It’s working for us. Today’s serve-yourself weekday breakfast ideas have been born out of necessity, and tested on many a busy morning in our home. They are balanced, nutritious, and most of them can be prepped in advance. What more could you want? While weekends are for pancakes, crepes and over-easy eggs, the recipes below fuel us for the Monday to Friday grind. This beloved family favourite keeps warm in the oven without getting dry. The kids scoop their own bowls and find the milk and maple syrup in the fridge. The oatmeal can be baked the night before or the morning of. It also freezes really well, in case you’re into batch cooking breakfasts like me. In summer, change up the apples for blueberries. In fall, add a few scoops of pumpkin puree or a large grated carrot. I take issue with calorie-ridden, café-style muffins, but when muffins are low sugar, made with whole grains, and include a vegetable or two, they become a nutritious breakfast. 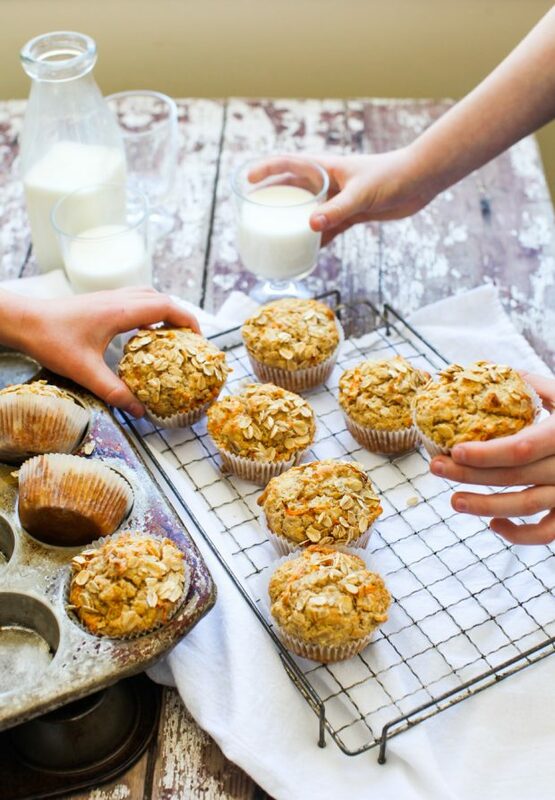 When I first launched this blog, I posted our favourite muffin recipe along with 10 tips to making the best muffins ever – and to this day, nothing has changed. I nearly always make a variation on that same recipe, often with carrots, parsnips, pumpkin or zucchini. We round out our muffin breakfast with warm hard-boiled eggs, ice cold milk and plenty of coffee for the adults. Frittatas offer a great opportunity to get creative in the kitchen and the chance to use up leftovers in the fridge. It holds well on the back of the stove or in a low oven and can even be made the night before for a quick morning reheat. I find that a breakfast of eggs plus vegetables keeps me going longer in the day. Add bacon and I’m all set! 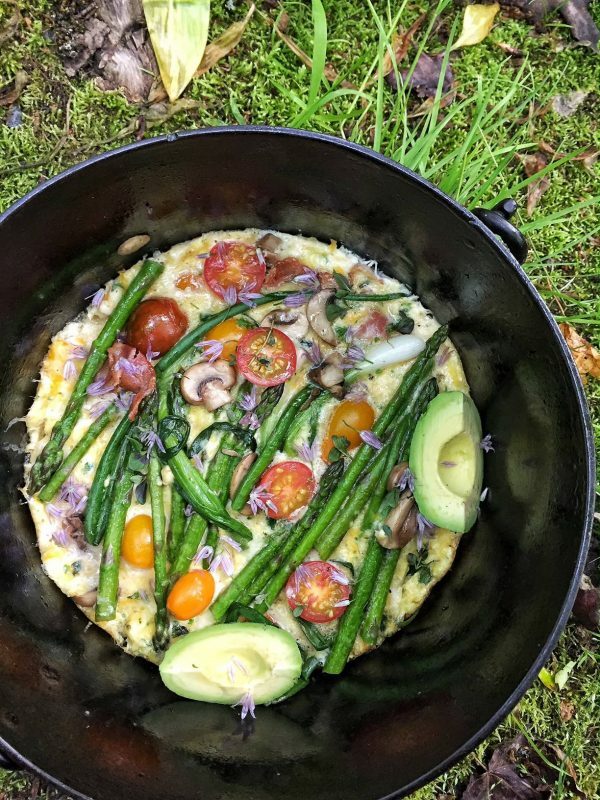 My Spring Green Campfire Frittata can be made in the home kitchen as well, and actually makes a fabulous reheat. If you know your kids won’t eat either of these (leeks! asparagus!) then try my basic ABC Frittata with apple, bacon and cheddar. I perfected a method for make-ahead steel-cut oatmeal a few years ago, and it’s been a life-saver for my troop of oatmeal-crazy kids. Thanks to the overnight method, I can literally roll out of bed and have hot cereal on the table before the coffee is even ready. I keep an assortment of toppings are on the table – coconut, chia seeds, nuts and seeds, hemp hearts, dried fruit and granola. The kids help themselves from the pot of oats keeping warm on the stove, and everyone is a happy camper. 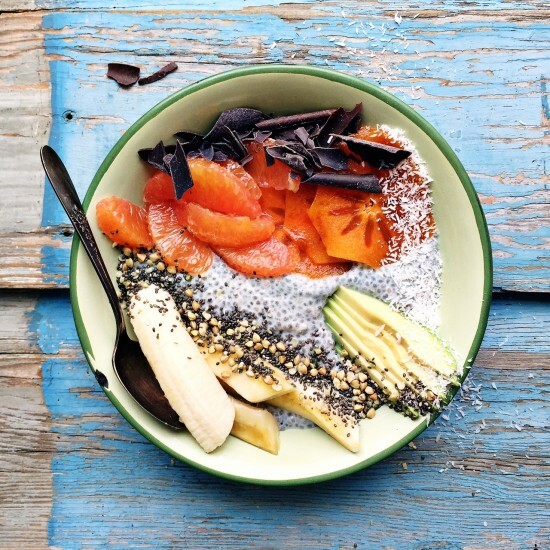 Breakfast bowls are all the rage these days, and I love doctoring up a bowl of chia pudding or yogourt as much as the next person. 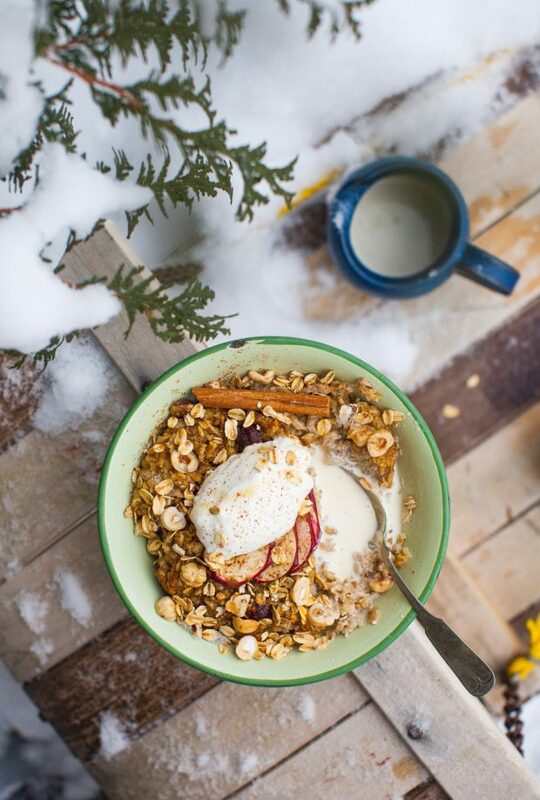 We love our homemade granola around here and always have plain yogourt on hand for super quick breakfasts (those probiotics are so necessary for good digestion). Chia pudding is another standby, usually made with almond milk. It keeps for a few days in the fridge and makes a great base for a power breakfast. We pile fresh fruit on everything and go crazy with the toppings. Jars of coconut, chia seeds, ground flax, hemp hearts, nuts, seeds and dried fruits are all on hand for a creative breakfast power bowl. 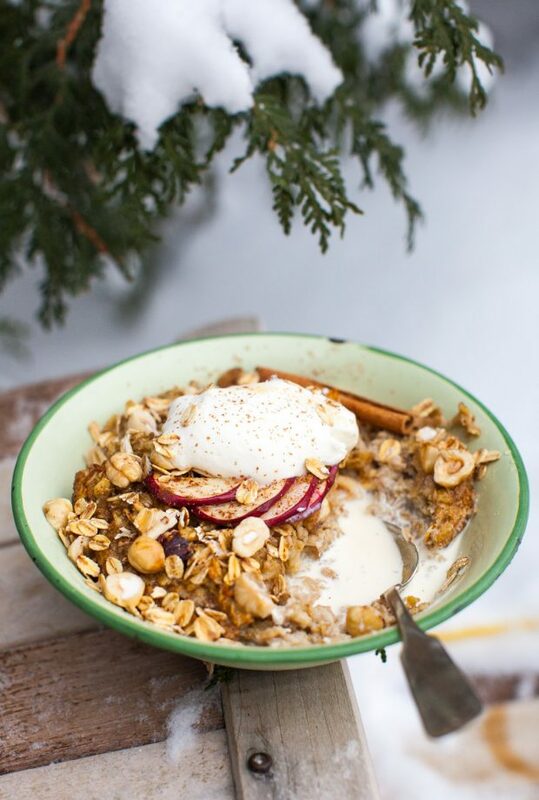 This Swiss breakfast bowl is prepped the night before, which allows the raw oats to soften and all the flavours to mingle. I love mine with grated apple and a hit of cinnamon, finished with maple syrup, of course. Bircher muesli makes for an absolutely simple morning and will keep for a few days in the fridge. The recipe below is a favourite of Danny’s and mine, though the kids still prefer their oatmeal hot. 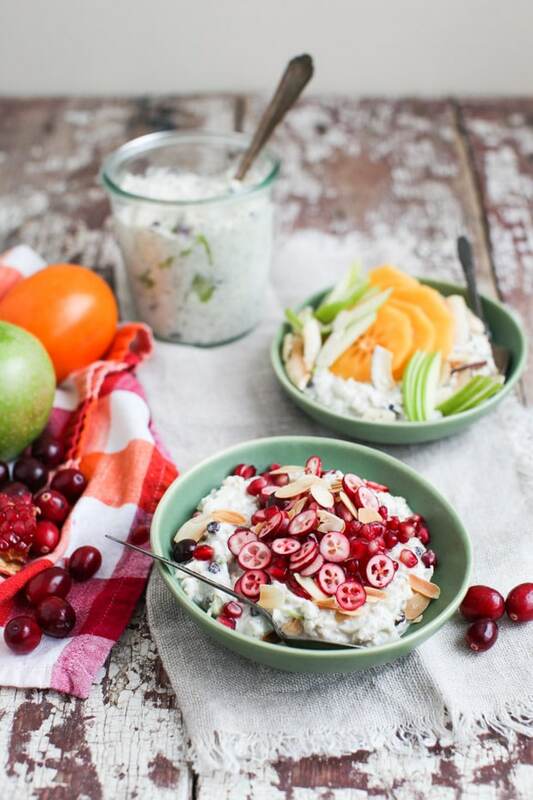 Apple Almond Bircher Muesli with Winter Fruits – swap out fresh berries in the summer months. Heavenly! This hardly needs to be said, but I’ll throw it in anyway. Set up a toasting station with bread or bagels, softened butter, and a tray of jams and nut butters. Set out a basket of hard-boiled eggs and let everyone fix their own breakfast. Add sliced tomatoes and avocado to round things out. For warm eggs, remove after about a minute and hold at room temperature for no longer than an hour. For cold eggs, allow to cool completely in the ice bath. Refrigerate for up to 4 days. If you’re eating breakfast on the run or on the bus, this is THE best to-go option of this list. 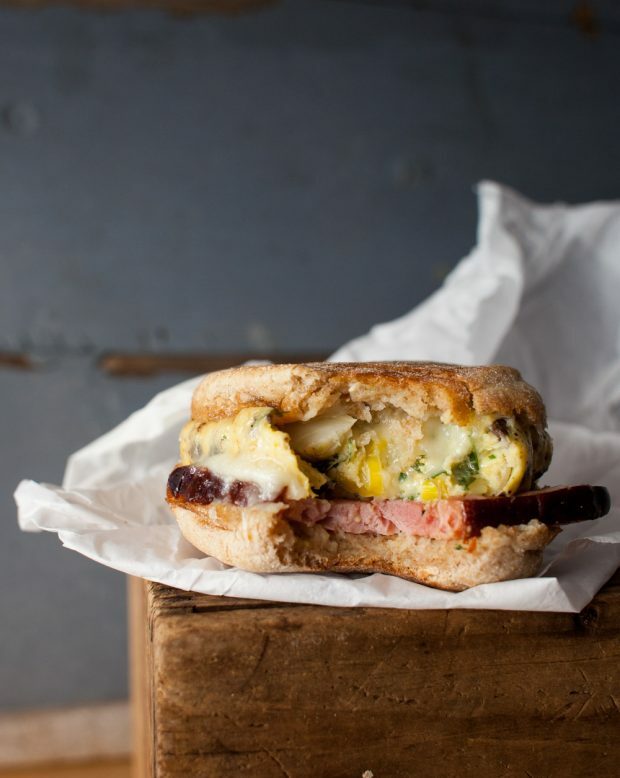 A homemade breakfast sandwich really puts all the fast food versions to shame – and my ham, cheese and egg variation is super delicious. It’s simple to pull together and hearty enough to keep you going well into the afternoon. While these sandwiches are delicious made fresh, the real idea is that they are made a dozen or so at a time, then well-wrapped and frozen for weekday mornings. They reheat beautifully, either in the oven (a good 15 minutes) or the microwave (1-2 minutes). I’d love to hear how weekday breakfasts happen in your home! Are they on the go? Enjoyed together? Or is it mass pandemonium? Excellent! I’m so glad you’ve found this helpful. It IS fun to change things up. During cranberry season, I make an apple “sundae” — diced, crisp apples, a drizzle of caramel sauce and a dollop of whipped cream or Greek yogurt (depending on if this is breakfast or dessert), topped with chopped raw cranberries and walnuts. The super tart berries work perfectly with the caramel. I agree, when the kids were younger I always had a standard list “eggs on Monday, oatmeal on Tuesday, etc.” that they had input on but did not change day to day. Now somehow we’ve fallen out of that routine (that we followed for YEARS! How does that happen?) and I’m making three different breakfasts, which drains me before a full day of homeschooling and daily tasks. Just the inspiration I needed!! I hope you’ll find this helpful, Sarah! Thanks for popping by. Great round up, thank you! We are always doing super simple granola and musli mix, maybe I will dare to change things a little bit for my kids. I just have to throw in one correction, especially since we currently live in Switzerland. 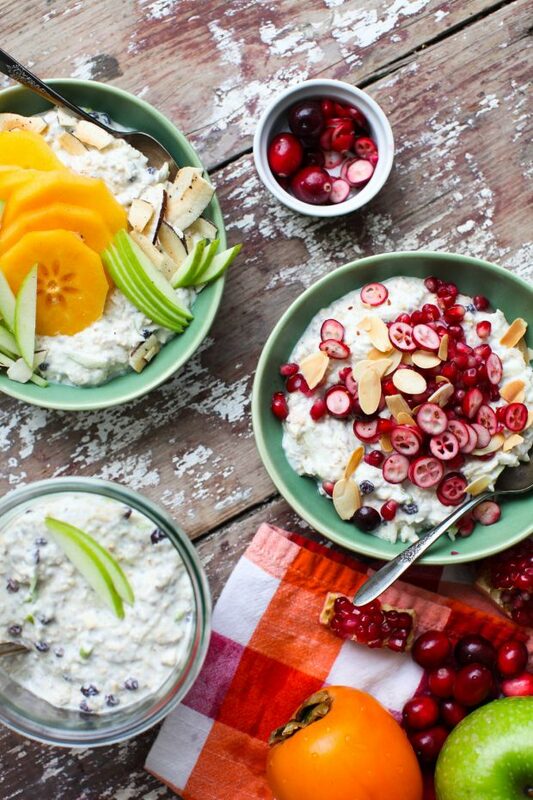 Bircher Müsli is in fact Swiss, invented by the Swiss doctor and nutritionist Maximilian Bircher-Benner. In either case though you’re quite right about it being delicious! Thanks for the correction! How interesting. 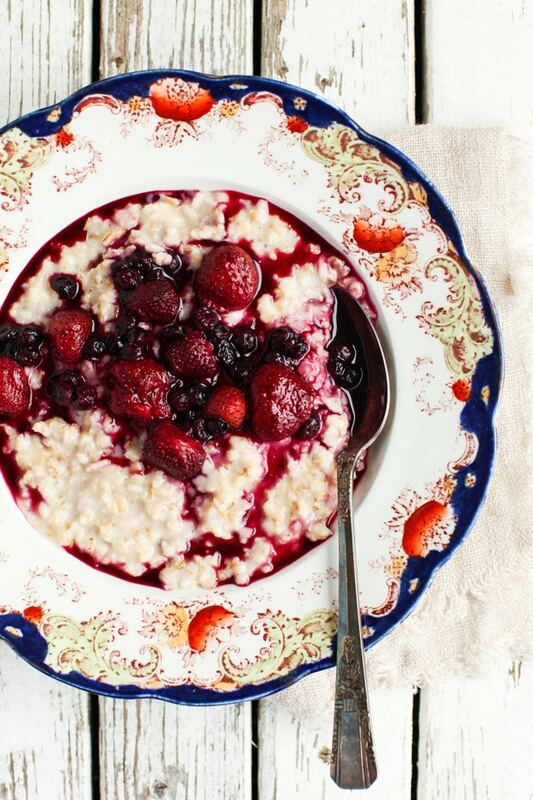 Hey, these breakfast ideas are right on. Our current breakfast routine.. we’re on the farm so hubby’s work is right outside the door; he exits at 7:59 am. Two kids 9 and 11 leave for school at 8:35 so we get to have breakfast all together at 7:50. I need ideas that will be hot and out of the oven by 7:50. We all agree breakfast needs to be substantial and filling (I love serving 4 food groups) but not so fancy that I can’t prepare it in 20 minutes from 7:30 to 7:50. On the weekends and school holidays is when I need these serve-yourself breakfasts! Sounds like you have a great system, Laura! Love that you still eat together. I love your variety-we are in a breakfast rut. I can’t wait to try your Bircher muesli…I had no idea it was so easy (also cheaper) to make at home! Thanks! It really is! And it’s a fun recipe for making with kids. Thank you for sharing delicious recipes I love it so much and will soon try at home ….